We love Kamloops for many reasons and now that summer is officially over, I will show you some of those reasons. We are a very diversified city with multi interests and there are events for all those interests. The Kamloopa Pow Wow is a celebration of the First Nations Culture and Heritage. It is an annual event held on the August long weekend at the Pow Wow Grounds on KIB just off the Yellowhead Highway at Shuswap Road. It is one of the largest in Western Canada and has competitions in drumming, costumes and dancing. There are also many artisans there who offer native crafts and jewelry for sale. It is a great celebration where you can spend the day enjoying the entertainment. Concessions are there to grab a lunch or dinner at so you can spend the day. Enjoy more of the PowWow by clicking here. The Kamloops Downtown Merchant Market in July is a great showing of the spirit of the downtown core, the heart of our city. There is lots of participation by the merchants and sales galore. You will see and hear live music daily, as well as magicians and Chris the Clown is a favorite with the kids. The Daily News has some great pictures taken at the Market this year. The annual Wakeboarding competition Wake2Wakefest, draws many competitors to the beach and spectators, too. There were over 60 competitors this year and I am sure with the success and enjoyment for the family entertainment, it will grow to be even bigger next year. Watch their webpage for news on next years competition. 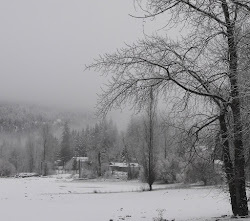 We have the wonderful Riverside Park and Thompson River and it is great to see it enjoyed by many with events such as this. There have been many years that we didn’t have a water show such as this and yet with a perfect venue, I wondered why. 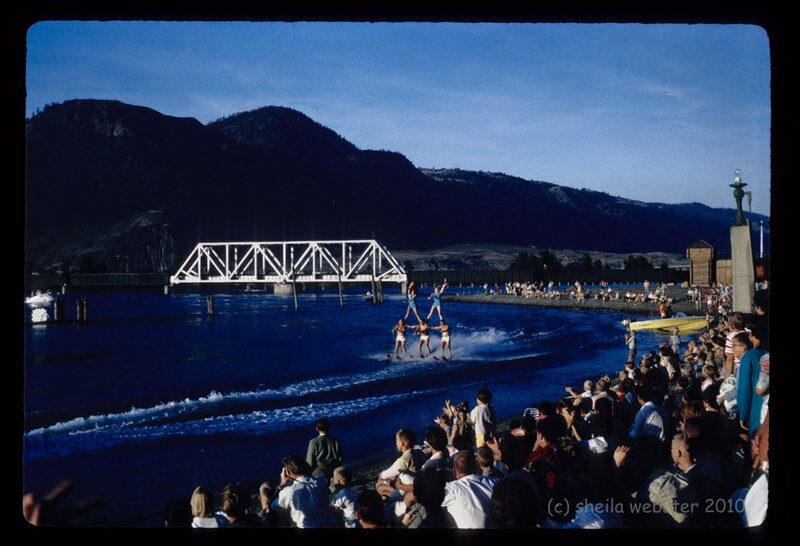 In July 1967, we were enjoying a different kind of show down at Riverside Park on the Thompson River. 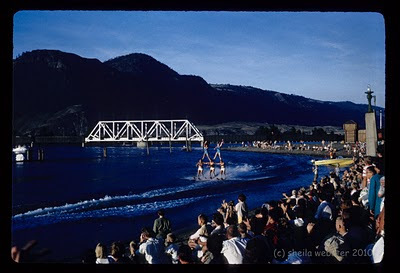 The park has changed a bit and the styles were different back then, but some things don’t change, we enjoyed the entertainment, they just didn’t have the wakeboard competitions happening yet ! If you enjoy Highland dancing and the music of the bagpipes, you cannot miss the Kamloops Highland Games held here in July. The Games also include world championsin dancing and piping. The clan tents offer help to those interested in family geneology and history information. For more information, clik here. The Kamloops Farmers Market has been around for many years and has become a tradition to many. The garden fresh fruits and veggies as well as plants, bakery goods and all kinds of crafts are available twice a week during the season. See more and learn more here. This great car and truck show is another tradition that has been around for awhile and doesn’t appear to be leaving soon. It has grown to be a big show, even though it isn’t held at night! Now that is another story, learn more about Hot Nites on my blog page. This is just a sampling of some of the Summer Events that Kamloops has to offer. We’d have to be able to be in more than one place at a time if we were to see everything that there is. 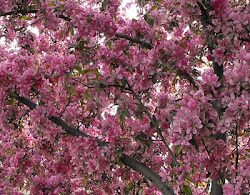 This will take a few summers, but that means there are more great things to look forward to. Just more reasons why we love Kamloops, there’s no place like home.